Start with easy-to-use thank you card to express your gratitude properly. 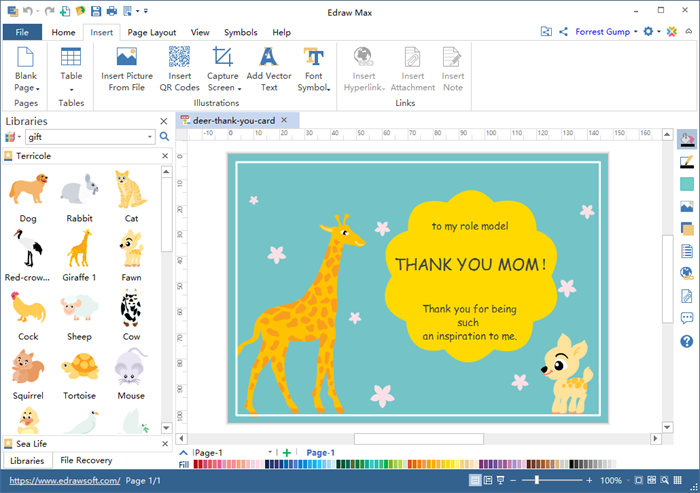 Edraw Thank You card software offers numerous thank you card elements and templates to start revealing your appreciation. Similar to a thank you letter, a thank you card is a card that is used when one person/party wishes to express appreciation to another. A thank you card can be used for business or personal use. Expressing your gratitude with beautifully-illustrated thank you card has never been easier with Edraw professional card software. "Well begun is half done". A good and right beginning always assures success. Pick some editable thank you card templates from Edraw, and use the templates as they are or customize them to fit your needs. 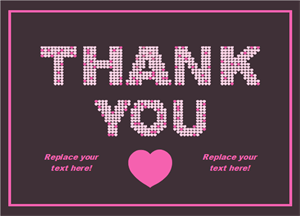 Click on the picture to free download the templates and view more Thank You card templates. Set a personalized card dimension. Whether you want it big or small, horizontal or vertical, just customize it. Select any background color from the color palette, set a custom gradient background color, use premade backgrounds, or upload your own background images. Use thousands of built-in beautiful vector elements, and modify the elements' sizes and colors without quality loss. Organize and lay out the elements easily with guidelines, auto distribution and alignment tools. Add vector text with multiple fonts and styles. Crop image easily into shapes like circle, heart, star, etc. Print your cards right away, or save your cards in different file formats like PNG, PDF, Html, etc. 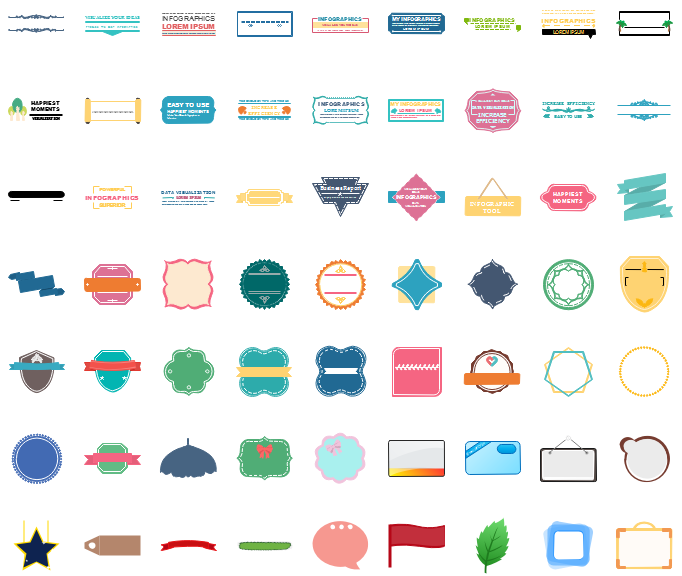 Ever-increasing thank you card templates and examples. 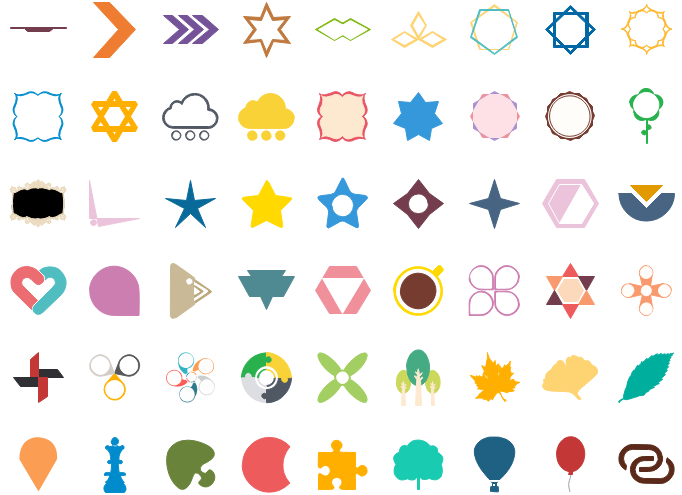 Edraw has always been marked by its abundant resources of vector symbols and built-in templates. 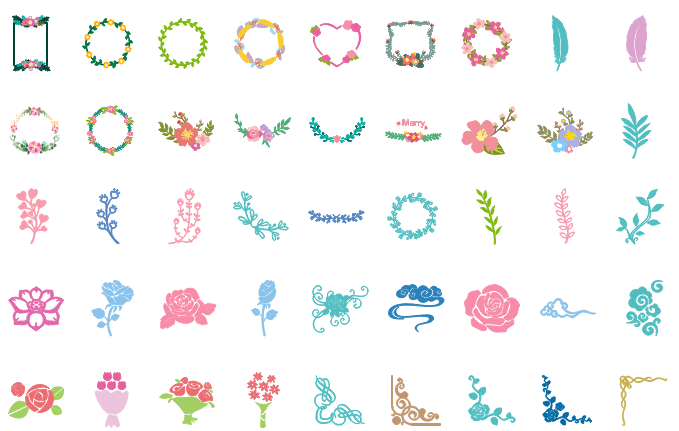 Our symbols and templates are made by professional talented graphic designers. They give beginners who have no drawing skills a quick start and inspire them with confidence in reasonal layout and eye-catching color assortment. Actually, there isn't a separated symbols library for thank you card in our software. The developers hold the view that there is no defined expression of "Thank You" and encourage users to free their imagination and choose any symbol they want. All the symbols are vector-based and flexible to edit to meet your demands. 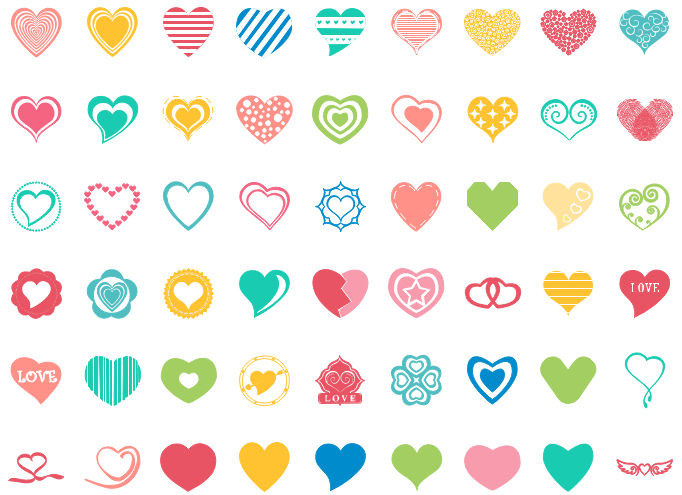 Below are some commonly-used decoration symbols such as callout, text box, heart shape and other ornaments to beautify your card. 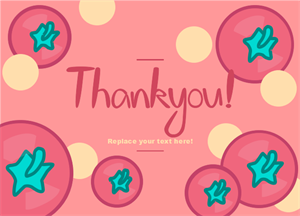 View more card design elements to illustrate your Thank You card.